Macro photo of a typical carbide bur. 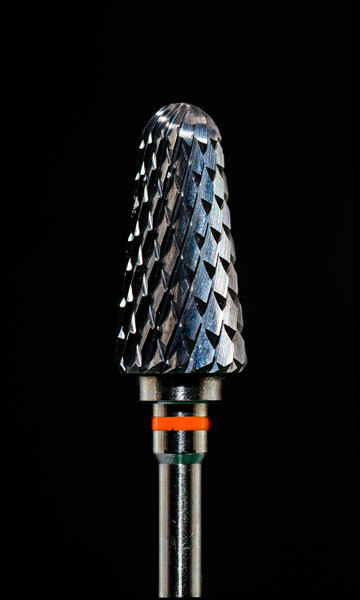 A detailed, close-up photo of a carbide bur is featured on top of a black background. The light from the photographer's camera reflects off of the face of the bur, showing the construction of the bur in greater detail.